Week 6 (February 9th – 15th): The build season is rapidly approaching its end date as there are 4 days left before bag and tag. A huge thank you and congratulations to the entire team for their diligent work throughout the last six weeks of the build season. 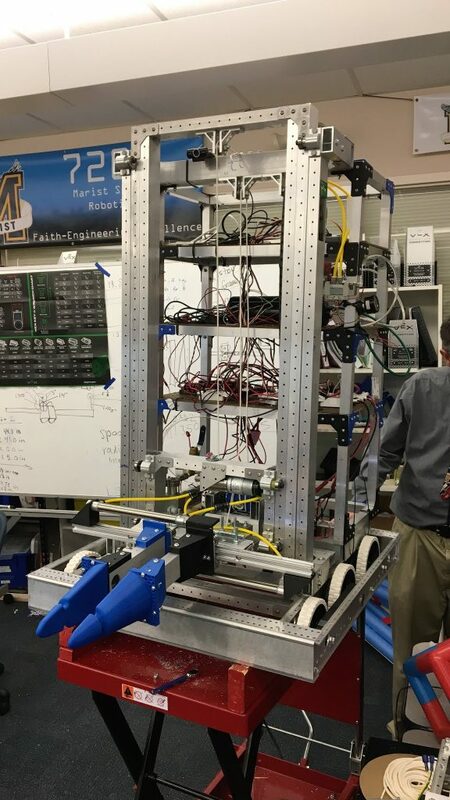 From long Saturdays to late Thursday nights, the team has put in a tremendous amount of time towards completing the robot. The last four days will be used to put on the finishing touches and to test the robot and its functionality. 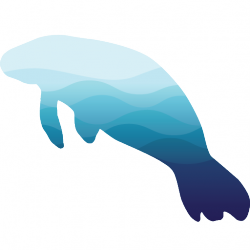 Within the last six weeks, our team has built a robot, completed a Chairman’s award submission, gained a new sponsor, created this website, created work on the new team image as we are now the manatees instead of the eagles, and much more. The team looks forward to the first tournament of the season in Gainsville, GA on March 2nd and 3rd. 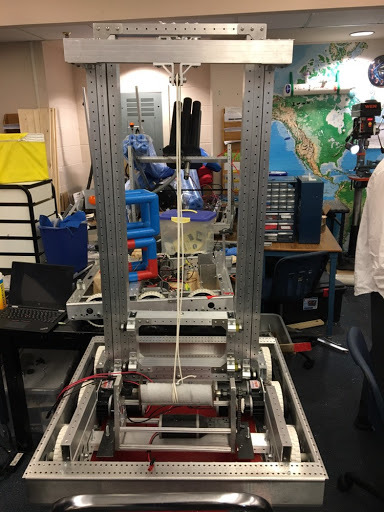 Week 5 (February 2nd – 8th): The team has come to school every day this week and worked on the robot. We have made an immense amount of progress completing the claw and attaching both it and the control tower to the robot. 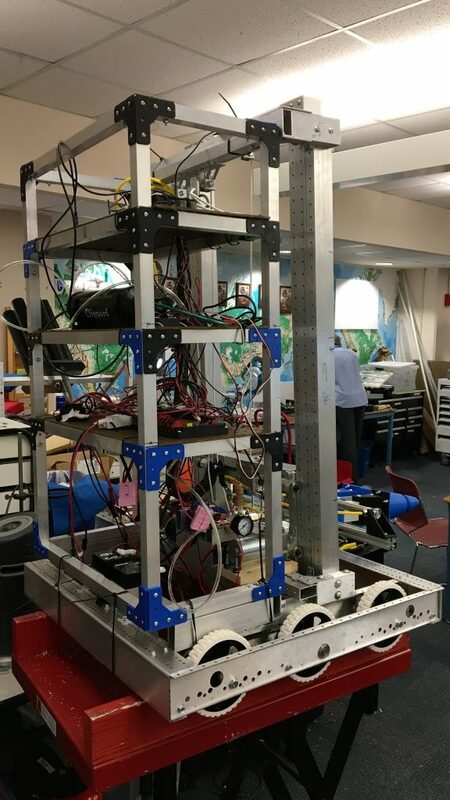 The robot is inching closer to being finished and it is looking great. Thanks to our administration team, the chairman’s essays and video have been completed and have been submitted. The first tournament of the year is three weeks away, and our team is almost ready. Week 3 (January 19th – 25th): This week was slightly shorter than usual due to MLK day. 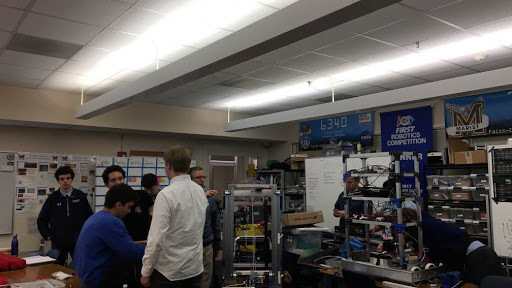 With a day off, our team was well rested and ready to come back and continue to build the robot. 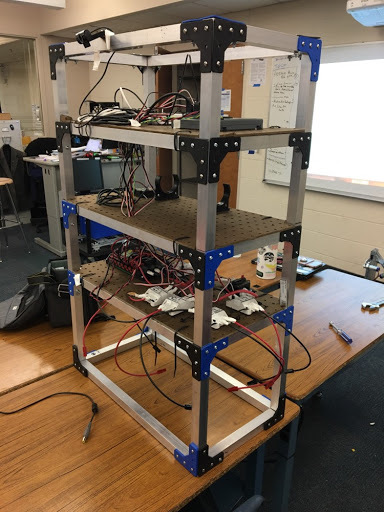 Thanks to our build team, we managed to complete our build for the lift and have constructed most of the chassis. A big thank you to our new sponsor Dunwoody Urgent Care for providing us more funding for the advancement of our team and robot. The days continue to grow colder and colder, but robotics is indoors, so that has no effect on our team what so ever. It’s great to be a robotics student and the team looks forward to another full week of work ahead. Week 2 (January 12th – 18th): The team worked really hard this week to produce an effective CAD model of our lift and grabber. We saw some bumps in the road, but we have managed to create a design we are happy with, and we are ready to begin prototyping. 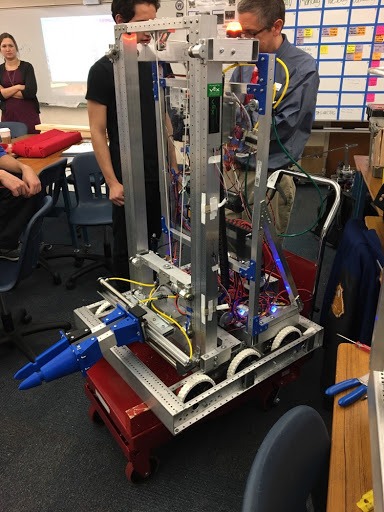 We have begun working hard on the electronics side of the team by starting to assemble the electronics board, and they have begun testing out the pneumatic systems, which are a new addition to our robot this year. We have begun to look deeper into our 2018 robot to learn from mistakes we made last year and are noting how we can improve on these mistakes to ensure our 2019 robot is our best robot yet. A big thank you to Dunwoody Urgent Care for sponsoring us this week. With their support, we can get more material to further better our robot. Week 1 (January 5th – 11th): Saturday the 5th was reveal day and the team was excited and ready to go. Right after reveal we went back to school and went straight to work. We dissected the rule book to its deepest core and have begun working on the design/CAD, outreach for sponsors, and construction on this here website. Thursday was our first long practice (going 12:30-1:30 then from 4:00-8:00). It is these practice sessions where our work really begins to take off. We have created a basic model of the robot and begun our designs for the claw and lift. With the foundation in place, we look forward to much more productive practice sessions in the coming weeks. Week one has been complete and we are ready for the season ahead. This blog will be how you can follow our team’s progress through the competitive season!